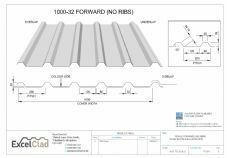 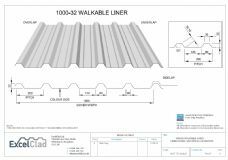 For curved roofs on Dutch Barns, Nissan Huts, Romney Huts and Belfast Hanger Roofs, as well as in the restoration of Victoria Industrial Architecture. 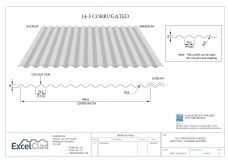 The demand for curved sheets has in the past been mainly for galvanized steel roofing sheets but with the interest in Industrial Heritage and modern designs we are now also witnessing an increased demand for sheets in Plastisol and Polyester coated curved steel. ExcelClad can supply curved corrugated sheets in 0.7mm and 0.9mm in a 10 x 3", 13.5 x 3" and 14 x 3" corrugation.